Hannah Liddy is the AIMES executive officer. She is based at the NASA Goddard Institute of Space Studies at Columbia University. She is a paleoclimatologist by training and uses marine sediment cores to reconstruct changes in climate during the Pliocene and Miocene. 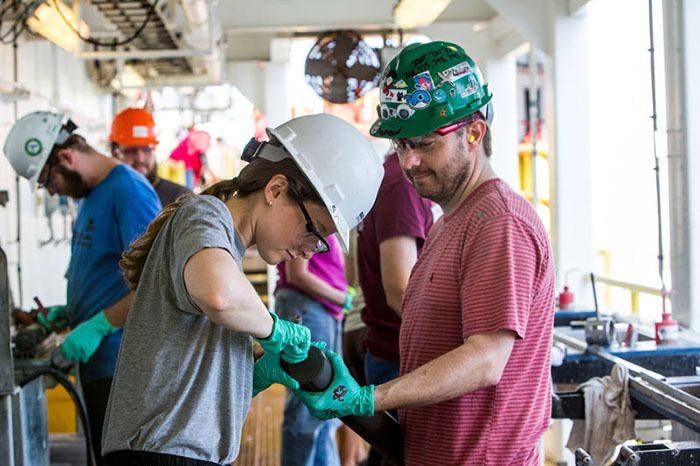 She was a 2013-2014 Schlanger Fellow and sailed as an organic geochemist on the International Ocean Discovery Program (IODP) Expedition 355: Arabian Sea Monsoon in 2015. She received her B.A. from Bard College and Ph.D. from the University of Southern California.